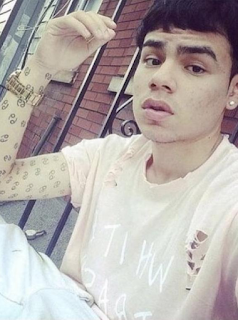 Daniel Hernadez officially known as 6ix9ine or Tekashi69 born on 8 May 1996 in Bushwick, Brooklyn. Tekashi’s mom is from Mexico and dad was from Puerto Rico, Tekashi lost his father in a murder and due to that his family was helpless. Tekashi started working in various places and even started to sell drugs to pay bills and run house. Tekashi6ix9ine’s net worth is over $150K, Tekashi69’s single “Gummo” peaked at number 12 on the Billboard Hot 100 and has 240+ million views on YouTube. Tekashi69’s new song “FEFE” featuring Nicki Minaj got 35 million views on YouTube within two days, is this because Tekashi’s controversies? Well we’ll see that later. 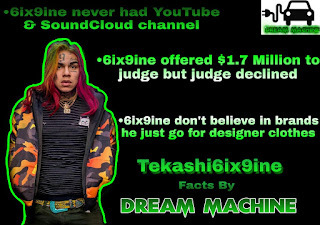 Let’s dive into Tekashi6ix9ines life and facts by Dream Machine. Tekashi6ix9ine has a very scary childhood memories, he usually don’t talk about his childhood because he hate it. We’ll use Daniel as Tekashi to keep it real. As I told you before Daniel lost his father in a murder and him and his mother was helpless at that time. They were in so much poverty that when Daniel was in school, his mother got some pairs of shoes which was throw in dustbin and Daniel wore them for school without any excuses. Later he got to know that the shoes which he was wearing was belongs to his classmate and his classmate threw those pairs in dustbin because his dad gave him new pairs. Daniel’s mom used to cry at night because of Daniel’s starvation sound, she wasn’t capable to feed her kid properly. Even tough, Daniel didn’t say anything to her he was good kid. After passing some days and nights Daniel started looking for job he literally sold Weed and other Drugs to survive. Before stepping into Music Industry, Tekashi69 was a comedian yes that’s true. He used to upload funny vines on his Facebook page those videos are not available because Tekashi deleted them, according to him he don’t want to affect his music career due to those videos. 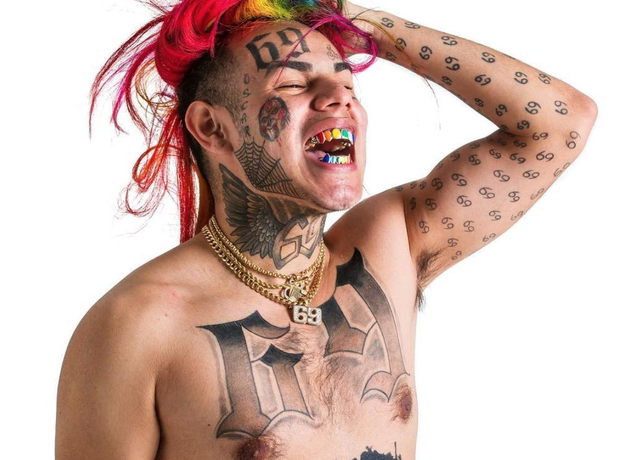 Tekashi69 never wanted to be in music industry, he wasn’t even serious about his music at that time. 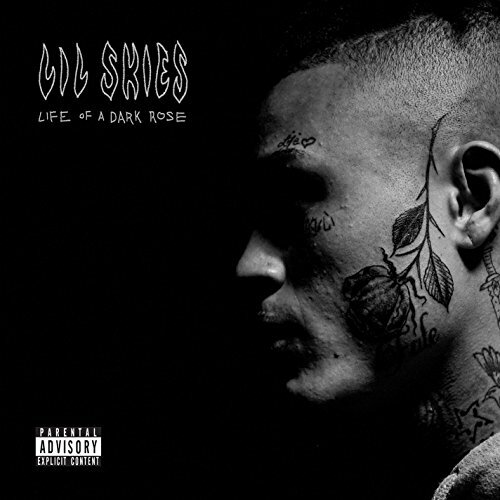 He started making music just because people told him that he look cool and dope, he released music videos through a YouTube channel named “FCK THEM”. Tekashi never had a YouTube channel neither SoundCloud account. He released his music videos through several channels. Tekashi made his own YouTube channel on April 6, 2018 and has only one video which is his new song “FEFE” with Nicki Minaj. Tekashi don’t wear branded cloths like Gucci, LV and Versace he just put on Adidas, Nike and Hilfiger and move on. According to him, he didn’t afford these high rated cloths back then when he was young, but now he can and he still don’t want to lean on those cloths. Tekashi69’s net worth is over $150,000 but his all clothes are under $200 you can check his clothing lineups online. Tekashi 6ix9ine took to Instagram to share the meaning behind what "69" stands for and it's probably not what you thought. He shared the explanation along with a photo of him hugging an older lady during his trip to Dominican Republic recently. "I never lost sense of where I came from. That’s what makes me 69. The true meaning of 69 is just because you’re right doesn’t mean I’m wrong YOU JUST HAVENT SEEN LIFE FROM MY PERSPECTIVE. Turn the 6 upside down it’s 9 but remains the same in a different perspective. Open your mind and heart ❤️." Tekashi69 wrote. His explanation comes shortly after he shared footage from his trip to the Dominican Republic. The trip was seemingly eye opening for Tekashi. Read Also:- Post Malone Facts And Read Why Budwiser Gave Him Free Beer Fridge For Lifetime. : : Tekashi69 Pistol Whipped, Robbed and Hospitalized. Truth or Publicity Stunt? In early morning hours of 22nd July 2018, Tekashi6ix9ine was kidnapped, beaten up and robbed by three unknown assailants. He just finished shooting music video and coming back to home where three hooded assailants grabbed him out of his home and pistol whipped him. In October 2015, Tekashi69 pled guilty to one felony count of use of a child in a sexual performance. Tekashi was charged with three counts of the offense after a February 2015 incident where he had sexual contact with a 13 year old girl. In an interview of November 2017, Tekashi claimed to have "no sexual contact" with the girl and denied knowing she was a minor. 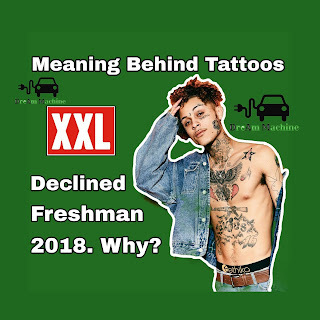 Tekashi also claimed to be 17 year old at the time of the incident, although the birth date listed in the complaint against him and in his statement to the police shows he was 18 year old at the time. 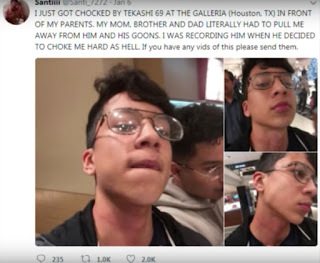 Tekashi69 choked a fan (16 year old boy) who was taking a video of him at Houston’s Galeria mall in January 2018 and Tekashi didn’t like it and ended up chocking him. You can watch video of Tekashi holding a boy. Click Here to watch video. According to court documents, the confrontation stemmed from the fan pulling out his camera to record Tekashi69. The teen told investigators that the rapper yelled at him to erase the video and bodyguards also "surrounded him in an intimidating way." The boy was with his family and the family gave the same statement. Tekashi arrested on July 12, 2018 and got out on $5,000 bond. In an Instagram video (Deleted) former collaborator Trippie Red denounced Tekashi69 by saying that “he doesn't promote pedophiles.” In November 2017, Trippie posted a photo of Tekashi69 holding hands with another man in an attempt to expose Tekashi as a closeted homosexual. Later in May 2018, Tekashi accused Trippie over Instagram Live of having sexual relations with newcomer artist Bhad Bhabie who is minor. Trippie denied the claims, later Bhad Bhabie also took to Instagrm Live to deny the claims, but did admit the two had kissed in the past. "We kissed but it wasn’t that serious and he was 17 at the time.”- Bhad Bhabie. If You like this kind of articles then let me know in the comment section and suggest me what you would like to read in next post.